Let me point out few quotes of Srila Prabhupada about worshiping Demi-Gods in ISKCON. 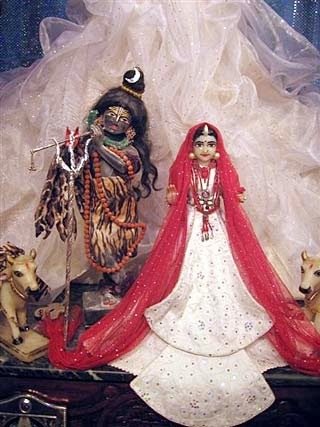 “So I think that the Murti which you have got is not Visnu Murti, but it appears to be a Murti of Lord Siva. "The greatest danger to our movement will come when we manufacture and create our own process for worshiping the deities." "But if everyone says that "I can manufacture my own way of worshiping the Deity," then what will be the condition? It will be simply pandemonium. " "The Deity worship should be done just in the way it was carried out in my presence." 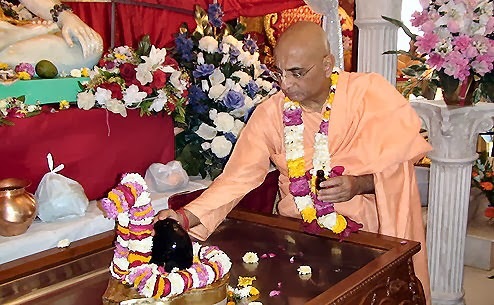 But See what these ISKCON Temples and Fake gurus have done..
1) “Did you know that Srila Bhaktisiddhanta Saraswati Thakur established a Siva linga in a small temple at the Yog Pith, the birthplace of Lord Chaitanya? Lord Siva is there as protector of the dham / temple site. Rupa Goswami and Sanatan Goswami had murtis of Ganesh carved over each entrance to their temples (Govindaji and Madan-Mohan).” (Badrinarayan Das, 10th March 2006). 2) “The temple is meant to be teaching experience. One of the biggest misconceptions in the minds of many (both westerners and Indians) is that the Vedas teach that there are many gods, not one singular God.” (Badrinarayan Das, 10th March 2006). 3) “Both by the layout of the temple and by the brochures we will give to guests, they will understand that the devas and Lord Siva are servants / devotees of the one Supreme Lord. The shrines for Ganesha and Lord Siva are on a lower level than the main temple.” […] The layout and experience it invokes will serve as powerful preaching if I don’t say so myself, all presented in a very palatable yet solid way.” (Badrinarayan Das, 10th March 2006). 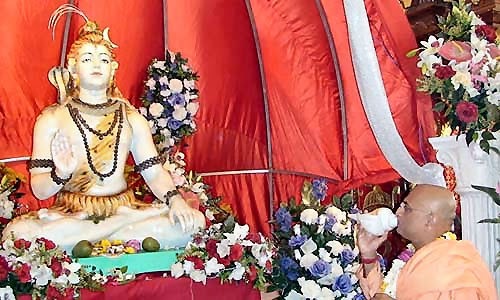 On the auspicious occasion of Siva Ratri coming Friday - 28th Feb 2014 , there will be a grand celebration at ISKCON Scarborough where Lord Siva who is the greatest of all Vaishnavas will be honored. ISKCON TRUTH request our devotees to comment below and make your point of view clear so that GBC never repeats these kind of blunders.